Scuba Diving is one of the most exhilarating things one can do. We as human beings must live in land; we can’t survive underwater for any longer that we can hold our breath. So sadly, we are condemned to live on land for the majority of our lives. But this doesn’t mean that we can’t take excursions underwater! We do so even when swimming in a swimming pool, and we can get a great feeling of what it’s like to be underwater. But, Scuba Diving is one of those exercises that allows us to get a real, in-depth glimpse into what underwater life is like. Scuba Diving is when someone dives underwater with the help of breathing apparatus. This breathing apparatus allows the diver to stay under the water for much, much longer than humanly possible. This means that the diver can explore deep underwater trenches, and deeply habited sea-life without fear of running out of breathable air. Scuba Diving usually takes place in humid locations, as this is where it is the most fun and doable. However, it is also used for scientific purposes. If a group of scientists want to find some specific form of life, or want to excavate a shipwreck or a coral reef, they scuba dive in order to do it! So it can really be done in any humidity. What does one need when scuba diving? 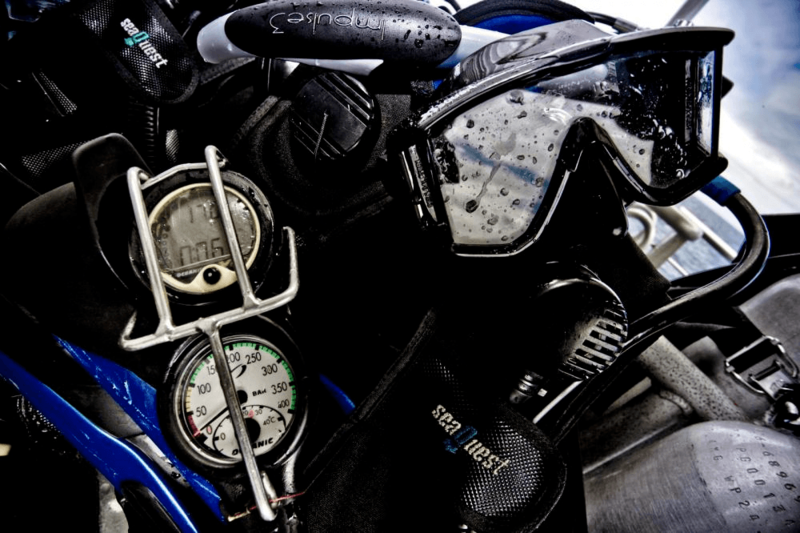 Scuba Diving is an equipment heavy hobby, as a lot of stuff is needed to make sure you are safe an able to move freely. A lot of people often wonder whether or not you can scuba dive while pregnant. It can sometimes feel that there wouldn’t be any inherent danger in doing so, as people give birth in water, take showers and other things as well. But, the danger in scuba diving while pregnant isn’t anything to do with the water. It’s actually something else entirely. Hyperbaric Oxygen is oxygen that has been concentrated due to pressure. This pressure can obviously occur when you go deep underwater. In fact, divers commit themselves to the dangers of hyperbaric oxygen almost all the time. It’s what allows them to breathe freely underwater. Unfortunately, hyperbaric oxygen is reported to have negative effects on pregnancy. In a test carried out on rodents, it was found that those that had been given hyperbaric oxygen, gave birth to rats with skull deformities and severe abnormalities. Foetal rat hearts were proven to be effected by hyperbaric oxygen exposure. There is also the matter of the decompression stress. This is the stress and strain you put on your body when gradually returning to the surface can be very dangerous. If you ascend out of the water too quickly, you do not give time for the nitrogen to properly leave your lungs. This can create gas bubbles, and general complications as changing from one pressure to another is a very big thing for your body to do. If it’s quite dangerous for a diver who regularly dives and then decompresses, it is probably going to be dangerous for a diver carrying a baby too. In a series of studies carried out on sheep, it was found that after decompressing, the mother was fine, however the foetus had contracted venous gas emboli, or bubbles. This then caused the foetus to have wildly irregular heartbeats. Though these tests can’t be carried out on humans, the conclusions of both of them should dictate to anyone that there is a possibility of danger when diving while pregnant. One can choose to ignore these tests, because they were done on animals, or because some of the tests showed slightly different conclusions. But just remember that the majority of tests, combined with what we know happens when ascending and descending in a dive, all indicate the inherent dangers of diving while pregnant. You could give safety instructions before the dive. There are a number of things you can do to still be involved with the dive, even if you are pregnant. 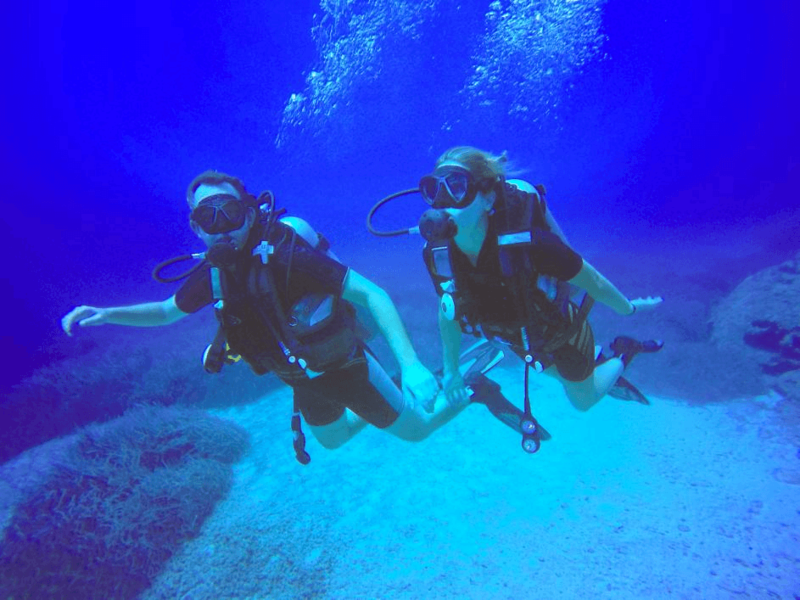 So, can you scuba dive while pregnant? The conclusion is that although it has not been explicitly proved that diving may be damaging to those women carrying a baby, tests carried out definitely indicate that that is the case. Hyperbaric Oxygen can lead to complications of pregnancy, and decompression stress can lead to ‘bubbles’ for the foetus whilst not always for the mother. Alongside this, a pregnant woman scuba diving is an incredibly strain to put on an unborn baby and the team that they are diving with. They have to take extra time to make sure everything is absolutely safe, and can’t promise the mother’s safety if an emergency situation happens. Although a pregnant woman probably shouldn’t dive, there are a number of things they can do to still feel part of the diving team. And as soon as they have given birth, the partner can take care of the baby while the mother goes for her first dive in a long time!